"Kojo [or Cudjoe] was the Asante name for a boy born on Monday." Theodore Lewis is angry that Selwyn Cudjoe has written about a racist white slave holder. He is equally as angry that Bridget Brereton, one of our most distinguished historians, who happens to be a white woman, spoke favorably of my efforts. He writes: Professor Brereton "is an unlikely defender of Cudjoe, given her scathing disavowal of him in her published essay 'All ah we is not one' in which she disparages what she calls the 'African narrative' of local discourse" (Express, January 12). Not satisfied with this simplistic approach to scholarly discourse, he shamelessly slanders Brereton: "She rehabilitates Cudjoe because in Burnley he clearly has veered away from the African narrative to one she is moved to validate." In Lewis's view, criticism is a form of racial solidarity that transcends other intellectual considerations. He believes Brereton likes Cudjoe's book because the major protagonist is a white man. Lewis has never written a serious historical or literary study so he does not know how the process works. Had he read my book, he would not have had to turn to Prof. Verene Shepherd to discover a historian "with some sense of regional identity—one who takes our history personally." He says that Shepherd's great-great-grandfather "was born into slavery in Jamaica in 1829...The details of his ancestry, and therefore of my ancestry, are not yet known, because the personal records of those who had to endure the Ma'angamizi (African Holocaust) were not kept in the pristine conditions in which colonizers' families are kept." In Lewis's reading, Shepherd offers an authentic analysis of the African condition in the Caribbean because of her family history. 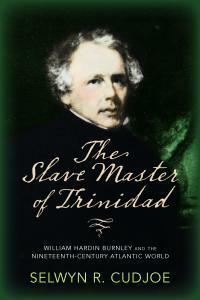 If Lewis had read The Slave Master of Trinidad, my biography of William Hardin Burnley, he would have discovered that my great-grandfather, Jonathan Cudjoe, was born in Tacarigua, Trinidad, in 1833, four years after Shepherd's great-great-grandfather. My great-grandmother, Amelia Cudjoe, was born in 1837. Unlike Shepherd who didn't have records to validate her family history I have mine. My first cousin, Mislet Harry, 84 years old and senior member of my father's line, grew up with Tan Darling. She kept the tradition alive.  In October 2017, she explained to me: "Every September or October, I prepare a meal for our ancestors. It consists of one slice of saltless fish, rice, dhal, and any kind of provision. Then I place a glass of white rum beside the meal. Then I begin to pray to our ancestors, calling them by their names, saying I have brought you food and drink and ask you to guide all of us. Then I leave the food overnight for them." I am the recipient of those practices. I do not need Shepherd (who is yet to learn about the origin of her family) to tell me about my Yoruba cultural practices and how they functioned in my story. But the fault does not lie in Shepherd's narrative. It lies in the failure of an interpreter of history to read a text before he responds to its contents. Lewis calls Burnley "my hero" rather than the subject of my story. Burnley is more an anti-hero, whose amorality, callousness, and racism I condemn throughout my book. More importantly, I argue that it was a scholarly response to Burnley's amorality and callousness that led to the emergence of a Trinidad intellectual tradition that is sketched out partially in the Trinidadian, the first black newspaper published in 1848. Lewis is neither a historian nor a literary theorist so he does not know how one analyzes or deconstructs such texts. He condemns Brereton's professional observation: "Burnley has long awaited a proper biography; hence Cudjoe is to be applauded. But the History Department at The UWI at St. Augustine has been around since Independence. If Burnley were so important, why did she and others never bother to resurrect him?" History departments do not write books. A person or group of people writes a book because he/she/they are interested in a particular subject matter. Brereton or other members of UWI's history department did not write a biography about Burnley because they were not particularly interested in his work or activities, nor were they compelled to investigate him. Professor Cudjoe's email address is scudjoe@welleley.edu. He can be reached @ProfessorCudjoe.